LED Lighted Bubble, Brass, Stainless, and Chrome Finishes. Please Call 954.274.0006 Or Write For Sizes & Pricing Information. THE GENTLEMEN'S CLUB PRODUCT OF THE YEAR! 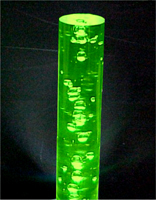 The "LED BUBBLE POLE" is one of the latest additions to our visual display range. 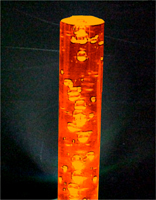 Our "tubes" are manufactured from a TOUGH acrylic resin with randomly blown bubbles that capture the light; creating dynamic highlight effects as the light passes through the tube! 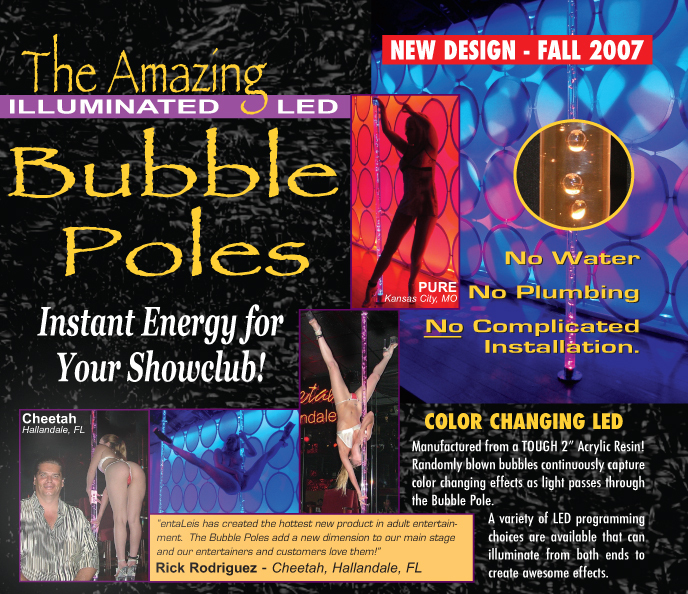 BUBBLE POLES are powered by a variety of LED lighting choices that can illuminate from both ends to create awesome effects. Even customized programming effects are possible with a control panel installed in the DJ booth! EASIER TO CLEAN AND SANITIZE - NO MORE BRASS POLISHING! Zero Maintenance - Minimal Power Consumption! Awesome Effects and Color Mixing Via Stand Alone, Music Trig or DMX Control. Customized Up To 12 Feet In Length! 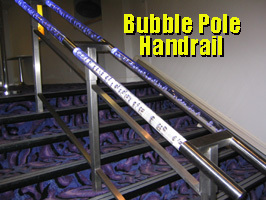 Ideal For Vertical and Horizontal Applications Including: Decorations, Scenery, Poles, Illuminated Hand Rails. 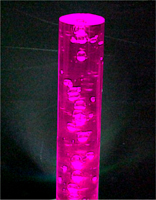 Ask Us About Creating Your Own Chandelier Effect With Bubble Poles In Varying Lengths and Colors! Amazing Strength and Visual Impact. Entertainers Can't Wait To Try Them Out! Now Available for HOME INSTALLATION With Mini Stage!